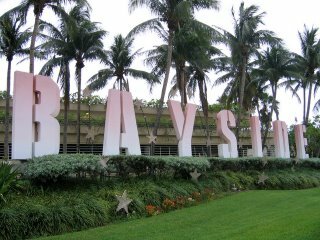 I've been taking you on a small tour of Downtown Miami the past two days, and today we continue with Bayside Marketplace, a very pretty, very touristy pedestrian mall situated right on the Miami bay. Here you can shop for a number of items, especially souvenir-type trinkets, at inflated prices, or take a boat out into the bay or to see the mansions of Miami celebrities, such as Gloria & Emilio Estefan, and Shaquille O'Neal. taking a boat ride sounds good! Great shot! I remember this mall from my visit to Miami.